What types of programmes does Asfar offer under Erasmus+? Each Erasmus+ programme has different aims and objectives, however, all involve opportunities to develop new skills, meet fellow young people from different countries and gain real cultural experiences, beyond the realms of politics and conflict. Asfar’s role is co-ordinator as well as the sending and hosting partner. The co-ordinator role involves project managing the whole programme. The sending role, involves Asfar sending groups of participants to another country to participate in a transnational activity i.e. a youth exchange. The hosting role, involves Asfar hosting an activity in the UK for participants from another country. In our sending role, this means that the host partner is responsible for local activities, such as planning the time table, accommodation and running the day to day activity. Due to this Asfar can only re-iterate what our host partners has advised us. However, we will try and keep all participants up to date as soon as we receive any information i.e. up to date timetables. A partner may be the co-ordinator, hosting or sending partner. With regards to activities abroad, the partner’s role as a hosting partner is the most important both for Asfar and our participants. Due to this, Asfar can only provide this information to participants, once partners communicate it with us. However, Asfar is involved in the overall planning and design of the programme and know our partners well and can provide some information to participants on these subjects before the release of the official information guide. Asfar will provide each UK participant with their own participant guide – traveling abroad, to offer pre-guidance before the official information guide is released. Your responsibilities are outlined in the Participant Agreement and participant guide. Ultimately, participating in the activity is your main responsibility. Furthermore, you are also responsible for your own safety, although there will be a team leader to offer guidance. Self-responsibility is also important in ensuring you act consciously while you are in a foreign country, do not put yourself at risk, as this may not only but you personally at risk but the whole group. An example of this would be an activity held in Israel. Trying to access the Gaza Strip could put yourself and others in unnecessary danger. Asfar would recommend you to speak to your team leader or the host partner if there is somewhere that you would like to visit and we will try and make suitable plans. What costs are covered during a Youth Exchange? Generally, basic costs are covered during youth exchanges, unless stipulated by Asfar. How do I apply for an Erasmus+ activity? 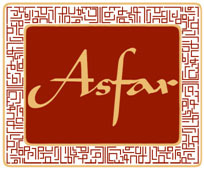 Asfar only accepts applications from people based in UK. Occasionally, we may hold an open call for applicants from other countries, however, generally our partners do their own recruitment for their own countries. After completing the application form you will receive information about the latest opportunities and what to do to be considered. To be eligible, Asfar will confirm your Age, your Location and will ask for a copy of your passport (photograph page will do) to check that it is in date and will not expire over the next 6 months. Participants are responsible for arranging their flights to guarantee their place. The costs of travel is refunded, up to the travel grant amount for the youth exchange. You will be advised how much the travel grant is once you apply. The grant generally covers the average market cost to that country. The travel grant will be refunded post-youth exchange, upon receiving your travel documents (receipts etc.) and signing the participant declaration. Do I need to organise my own Visa? Where a visa is necessary, Asfar will provide guidance on how to go about applying for it. Most of the countries we visit, do not require a visa, while others now have an online visa application system which are very easy to use. Asfar’s team recommends participants to bring comfortable casual clothes to wear throughout the week and to remember, to bring clothes suitable for all weathers. Medicines: don’t forget to bring all of your medicines for the week. Although, partner countries’ have pharmacies, for specialist medicines you will need a prescription from a doctor. This can be very expensive abroad. So bring your medicines from home. What will I learn during the week? Will insurance costs be covered? Participants will be responsible for purchasing their own travel insurance costs, which can be claimed back from their individual travel grant. Travel insurance receipts should be sent to the Co-ordinator to confirm that all participants are insured. Guidance on where to purchase suitable travel insurance can be found in the participant guide. Generally, we recommend participants to consider more inclusive travel insurance (i.e. that insures electrical items) if you are traveling with belongings that you cannot afford to lose. If you go to any EU country, you should get a European Health Insurance Card (EHIC). Applicants will need their National Insurance number to hand. The EHIC is free of charge and entitles you to reduced-cost, sometimes free, medical treatment that becomes necessary while you’re in a European Economic Area (EEA) country. The EEA consists of the European Union (EU) countries plus Iceland, Liechtenstein and Norway. This is for EU citizens, plus Iceland, Liechtenstein and Norway. The EHIC will only be accepted in EEA countries or in Iceland, Leichtenstein or Norway. As an Erasmus+ programme, a lot of the expenses and costs are covered by the EU. However, Asfar will confirm with you if key areas will not be covered, during the run up to the youth exchange trip. Asfar recommends that you bring with you £15-£20 per day for spending money to cover other costs. At a minimum, Asfar recommends £5 per day.